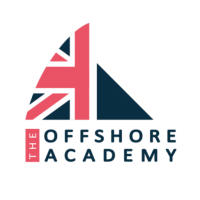 The Offshore Academy is Britain’s only centre of excellence for solo and shorthanded offshore sailing. The academy provides a pathway to top-level International competition, preparing the country’s aspiring sailors for the mental and physical extremes of solo ocean racing. Utilising the highly competitive Class Figaro Beneteau circuit, The Offshore Academy provides opportunities for sailors to compete at this International level against some of the Worlds top solo ocean racers, culminating every year in the Solitaire du Figaro Race. The Academy’s mission is to grow the pool of elite ocean-racing sailors from the UK, with the ultimate aim of inspiring a British victory in the Vendée Globe – A 24,000 nautical mile non-stop solo race around the world known as the 'Everest of Sailing'. The Offshore Academy is GREAT….